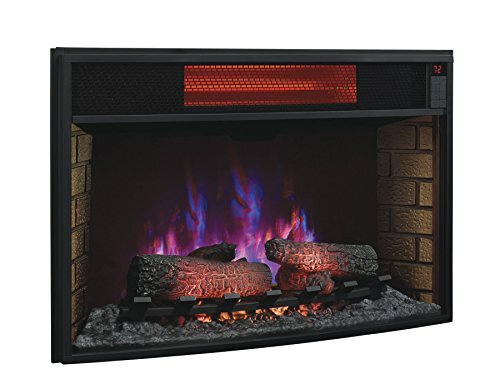 Now you’ll be able to have the warmth and ambiance of a fireplace all year long with the 32″ curved infrared quartz electric fireplace insert by ClassicFlame. 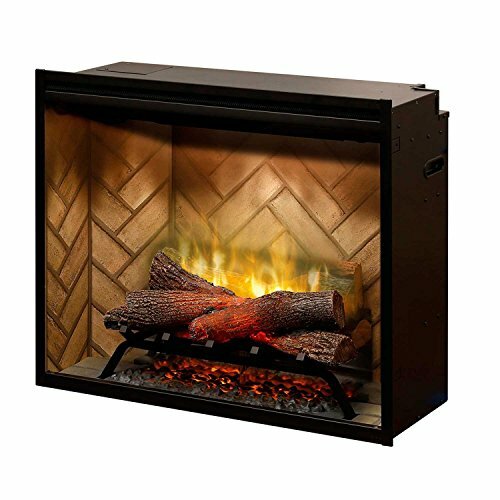 Capable of providing supplemental zone heating in a room up to 1,000 square feet. 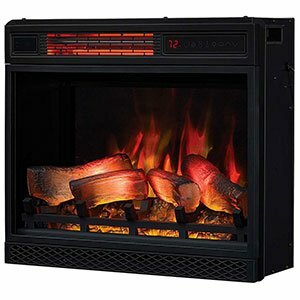 The infrared heat helps to take care of the natural humidity within the air, resulting in moist, comfortable heat without drying out the room’s air. 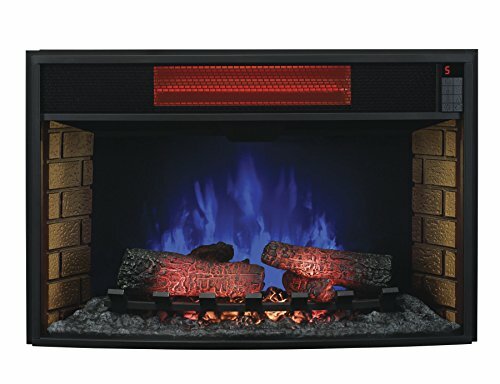 This curved tempered glass-front infrared quartz electric fireplace features Spectrafire Plus which offers five flame speed settings, allowing you to adjust from a fast roaring fire down to a gentle flickering flame. 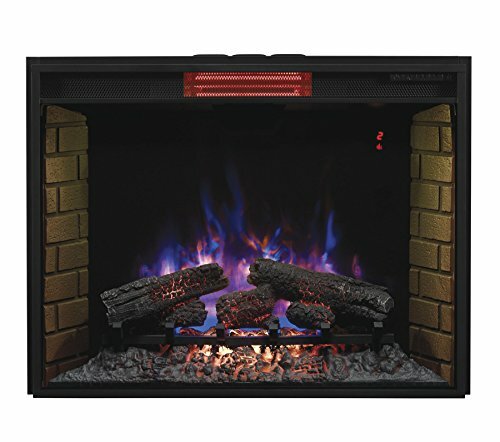 Five adjustable brightness settings allow you to pick the perfect brightness for the environment and ambiance, at the same time as five flame effect colors include Spectrafire, Sapphire, Amethyst, Campfire, Middle of the night Fire, and auto cycle. 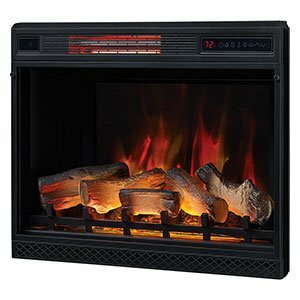 All ClassicFlame infrared quartz electric fireplaces can be used with or without heat and are vent and smoke free, and are equipped with Safer Plug fire prevention technology – because of this it may be safely installed in any room of your home – just plug it in and you’re done. 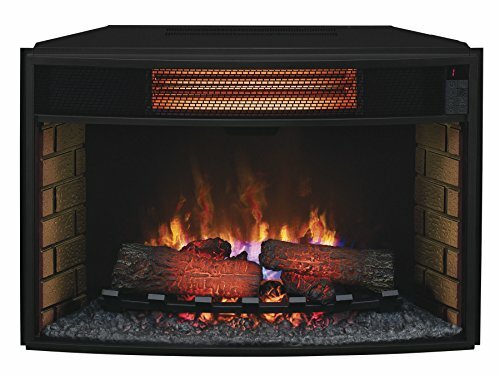 Insert can be used along side ClassicFlame mantels, TV stands with insert capacity, or flush-mount trim kits (all sold one after the other).